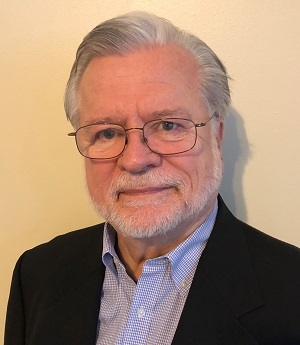 Beacon Falls, CT – May 10, 2018 – David Lyday has signed on as a Sales Support Engineer with Lavatec Laundry Technology, Inc. A laundry industry veteran for over 30 years, he will be primarily responsible for supporting field sales operations and providing project engineering services. He reports to Keith Ware, Lavatec’s Vice President of Sales. Lyday most recently spent 15 years as a sales engineer with Speed Check Conveyor, where he handled multiple functions including sales and application engineering and system design. He was also involved in the development of new products and produced AutoCAD layouts. He believes that kind of experience will be beneficial to Lavatec customers. "I know Lavatec has done well and they have experienced solid growth in the last few years," Lyday said. "At Speed Check, I handled many of the same job responsibilities I'll be doing with Lavatec. I like interacting with customers and look forward to working with them on existing plant improvements and new plant design." Ware indicated the skills and experience Lyday brings to the table provides a distinct advantage for Lavatec customers. "David has paid his dues and worked for several companies in the industry," Ware said. "He understands the business and knows what it takes to make equipment produce at the highest levels, both in terms of efficiency and profitability. With his kind of insight, our customers will be getting the kind of valuable input necessary to help make their facilities perform better and deliver results."